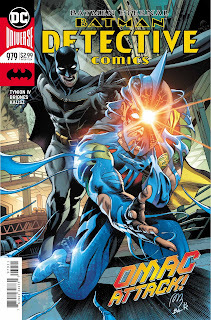 Last issue ending with Tim Drake turning all OMAC certainly had me pumped for this issue, but we open here in Tim's head and it's a bit of a jarring start. Ulysses is there too and gives Tim a This is (or will be) Your Life spiel, showing the bad things that will eventually befall his Gotham Knight pals. 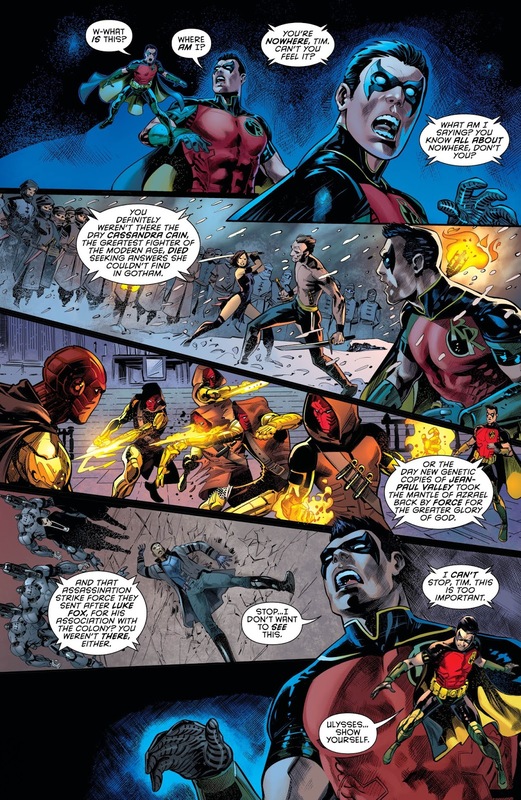 While this is going on, we get Cass actually fighting Tim in the Batcave and Batman, Kate and her Father, Jacob still fighting and thinking in Kane Manor. It's not the greatest of starts since it does push aside the potential fun of OMAC Tim (for a bit at least) to just continue Ulysses yelling about his great plan for the future. Luke Fox and Azrael join the fight in the Manor and take out the OMAC Colony soldiers by using a trick that they keep using, even though a page or two earlier, Batman said the soldiers would adjust and couldn't be taken out the same way twice. Oh well, it doesn't matter much since once Ulysees fully Omactivates Tim the soldiers rise and zoom off to meet at the Belfry. Even before that, everyone including Batman is already pointing their collective fingers at Tim as the man behind all the trouble and it felt really forced. 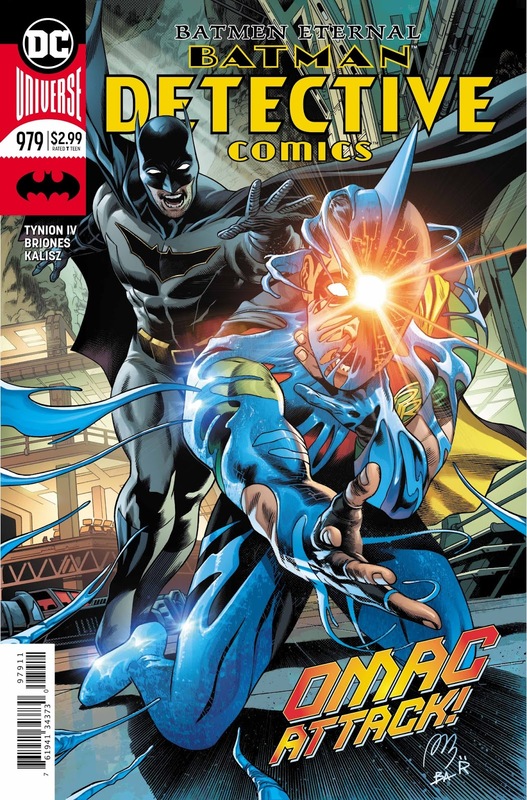 Batman does think Tim may be involved unwillingly and heads off to the Batcave to find out, but by then Tim and the rest of the OMACs are gathered at the Belfry. If you are thinking, "but it got destroyed", you are in for a big surprise. The issue ends with a Bat-Mac Tim and Ulysses gloating with the "future of Gotham" looming behind them. This had two things going against it throughout...the forced narrative that seemed to get everyone on the same page a little too quickly without really progressing the story much and the dialogue-heavy bits with Ulysses. He doesn't say anything new and then when Tim continues to disagree with him, he just transforms him making all the grandstanding and pleading before kind of moot. A little nitpick...why does the Brother Eye controlled Tim use "I" instead of "eye"? I hope this is a bit of foreshadowing that he is not a far gone as we think. I did really like the art in this issue. Ulysses still looks a bit off in most panels, but everything else looks nice and detailed and the color work is great. This issue forced the plot along to get everyone on the same page before we get to the final battle coming up. I liked the art, but I hope we get some more story progression next issue because while crazy stuff is going down in Gotham, it's already getting kind of boring. Yep. This issue is all kinds of boring. But what's NOT boring is yet another excellent review by Jim Werner on WeirdScienceDCComics.com! 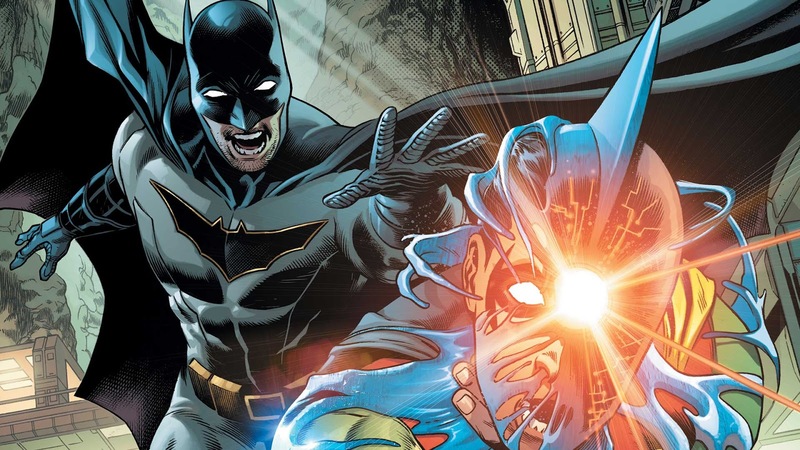 Why isn't anyone thinking that this could be Ulysses and not Bat-tim??? Im actually suprised you gave this a 6.9 (nice) out of 10. 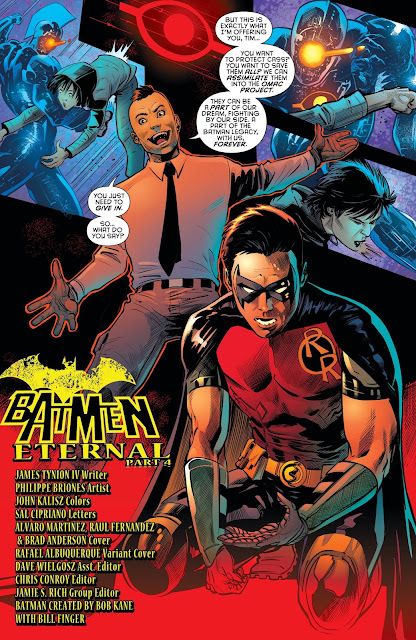 This issue was all sorts of awful, and if your going to throw the Batman Eternal name around, I want off the wall crazy. This for a Brother Eye story is all sorts of dull ... Brain Hill cant get here soon enough.